I’m not sure about you, but I have struggled with insomnia my entire life. So I have to be careful about what I do before I go to sleep to ensure I get the best possible chance of a good night sleep. One of the things I started doing is listening to guided meditations for sleep, and I’ve got to say it really has helped A LOT! Sometimes your mind whirring away at 50 mph really stops you going to sleep, and you need someone else’s calm, soothing, sleepy voice to guide you into the land of dreams. If you have a partner, they might not appreciate listening to this, especially if they don’t need any help whatsoever to get to sleep. So what I do is use some sleeping headphones like this, to listen to these guided meditations. They really are very comfortable for sleeping with, even if you’re a side sleeper. Using sleep headphones is actually a better way to listen to these meditations as they often have been recorded in stereo and have different voices in each ear to reach a different part of your brain. It’s all very clever stuff – and somehow it absolutely works! 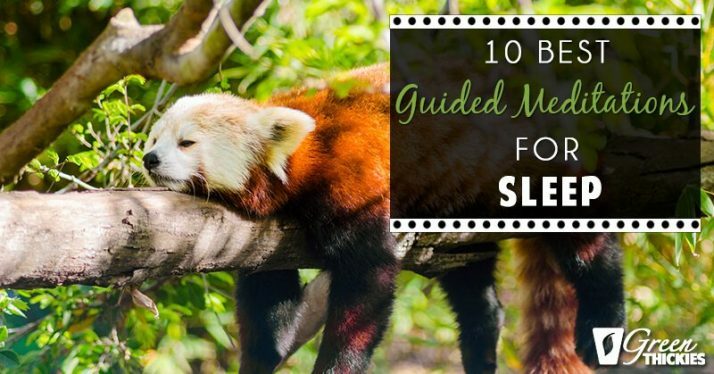 Here are my 10 best guided meditations for sleep. Our soothing music incorporates the relaxing sounds of nature to lull you into a deep, peaceful sleep. Take a reflective time-out in a peaceful, other-worldly enviroment, allowing yourself to be calmed and soothed by the gentle breeze as you connect with a higher purpose. Drift off to sleep with this blissfully calm talk-down. Features very high quality ocean wave sounds – you can almost taste the sea air! If you suffer from bouts of insomnia, keep this handy and play it any time you need to relax and let go. The first 20 minutes are spoken guided meditation whilst the final 30 minutes are beautiful healing relaxation music composed by artists C.L Clarke. A beautiful spoken meditation by Jason Stephenson for sleep. With soothing music by Jordan Jessep, This meditation is sure to have you enter a deeply relaxed state! With a gentle guiding voice. One full hour duration with a slow, non-waking fade at the end. Fall asleep now and sleep deeper with this powerful Guided Meditation. This session will not awaken you at the end, it will allow you to fall asleep so you can awaken in the morning feeling refreshed and alert. A great natural cure for insomnia! Calm relaxing meditation 10 minute guided meditation video to help ease Anxiety, worry, Over thinking and the sense of urgency. I hope you enjoy this healing meditation to help guide you into a state of Positive bliss and peace of mind. Words of love to provide that boost of positive energy. This is a guided meditation to enter into sleep and enjoy a deep restorative sleep. Through this guided meditation your muscles will relax, your breathing will become slow and deep, and your common daily thoughts will be replaced with rich dreamlike imagery. Hope you have a great night sleep tonight and let me know how it goes? If you would like to take your meditations to the next level and think more positively, lose weight, make more money, be happier and have more energy than I would like to encourage you to try these unbelievable guided meditations to fix all of your problems. This is the second time I’ve been a member and listened to these meditations. The first time they literally changed my life and I moved house and forgot about them! My life started going downhill again and I started listening to them again and I’ve already seen big improvements in all aspects of my life!